This is also another bad incident, it's not as bad or tragic as the Texas Giant incident which accounted on the same day. I do believe in the rule of 3 meaning that normally something will happen and two other events in the same field happen. 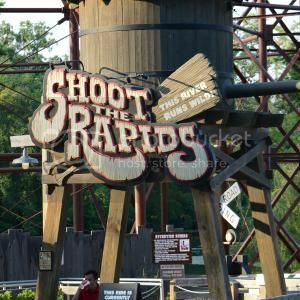 In this case we had Texas Giant, Shoot The Rapids and The Smiler which Simba posted in the topic for it. Woops. Didn't the boat also flip over when it reached the bottom of the lift hill? I think I heard somewhere that it did but I could be easily wrong. That is bad. Any news on how it actually happened yet? Really surprised no-one was majorly hurt, especcially if the boat did flip at the bottom.